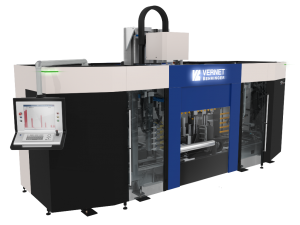 Renowned specialist in the design and manufacture of machine tools and fully automatic lines exclusively dedicated to structural steel fabricators, steel stock holders, and transmission towers experts and achieving more than 70% of its annual sales internationally, Vernet Behringer introduced last December its new EVO range with series of innovations that improve processing efficiency, performance, workstation ergonomics and design. Besides HD-SEVO and FGEVO showcased for the first time at last Euroblech, the EVO range has been completed by HD-XEVO2, latest development of HD-XEVO for profiles as well as by MAGEVO plate processing center combining marking, milling, drilling and 3D plasma cutting. Very soon the VP angle line shall EVOlve as well so that the entire range can share the same image. 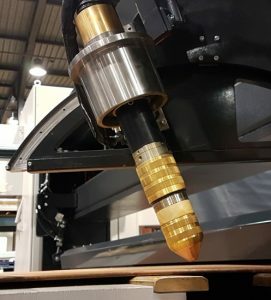 With a set of new features these machines have been positioned to widen the machining possibilities in terms of profile and sheet metal working. Thus, beam lines such as HD-SEVO and HD-XEVO2, in addition to their key original characters, offer new optional underneath V-scoring scribing-milling unit for 4-faces processing of right hollow sections as well as extended software milling module with rest-free milling cycles and weld joint preparation macros (U- and V-groove). FGEVO and MAGEVO are now capable of milling the long holes, big diameters or any other close shape and deburring the holes from the lower face of the plate. Innovative plasma cutting unit installed on MAGEVO enables full control bevel cuts up to 45°. Clever management of carriage and gripper assemblies contributes to improve material consumption on MAGEVO by eliminating the “dead” gripping zone and permitting nearly-100% plate use. Finally, the brand new full housing design guarantees both a reliable protection to the operator against chips projection and easy access for tooling preparation, cleaning and servicing operations thanks to the wide transparent doors. Light indicators placed on both sides of the machine provide immediate information about the machine’s status.